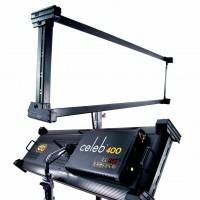 The Kino Flo Celeb 200 is the natural successor to the Kino Flo 2’x4 and 4’x4 banks, which are still two of our most popular lights. 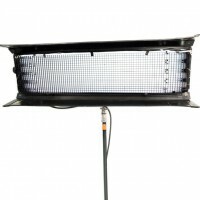 This light has all the benefits of a Kino Flo flourescent with none of the drawbacks. 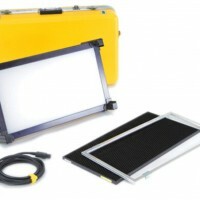 You don’t need to lug around spare fluoro tubes and risk them breaking in transit if you need to vary the colour temperature. 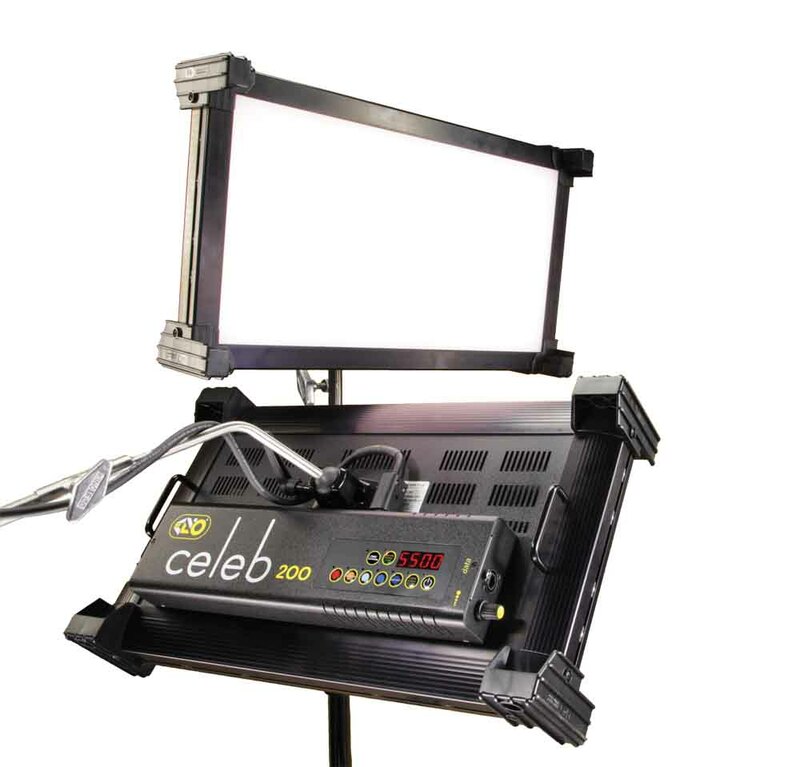 Instead, the Kino Flo Celeb 200 has several colour temperature presets and a dial on the fixture if you need something in between. The light can be dimmed right down to zero. The Kino Flo Celeb 200 is a neat package and and can operate on universal AC or DC power. The unit includes a centre mount with a ball and socket design and lock-down handle to allow unrestricted 360º orientation. 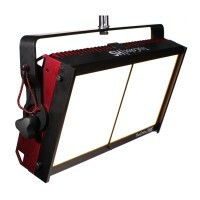 I need a portable fill light, which one should I choose? Both the Area 48 and the Kino Flo Celeb 200 and 400 run off batteries, so these are a great choice if you need to shoot away from a power source. 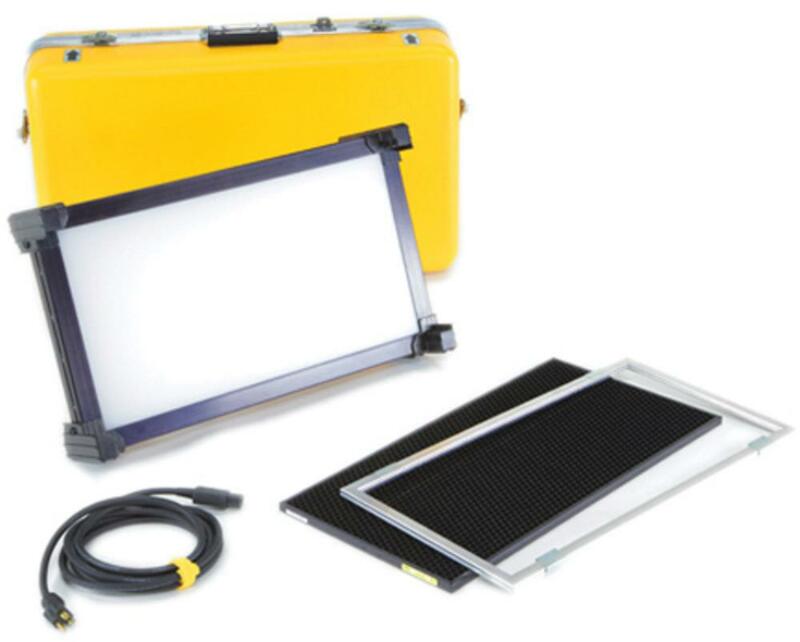 If you do need extra power you can always hire our Solarpod generator and then you also have the option of using a Trucolor. Let us know if you need more advice. Kino Flo Celeb 200 Downloads. Quick bit of maths please: required Please check your adding up. Total of 8 + 10 please. Quick bit of maths please: required Please check your adding up. Total of 6 + 10 please. Quick bit of maths please: required Please check your adding up. Total of 2 + 2 please. thanks for forwarding on information about the Kino Flo Celeb 200.